Apprentice training centres (CFA) are educational institutions providing general, technological and practical education, which supplement the training received in the company and work in conjunction with it. Educational supervision is generally exercised by the French Ministry of Education, Higher Education and Research (MENESR) or the Ministry of Agriculture, Agrifood, and Forestry (MAAF). Most have been created via five-year renewable agreements concluded between regional councils and various bodies. Apprentices are young people aged 16-25 who are preparing for a vocational or technological qualification (or title) via a specific type of employment contract, combining in-company training - under the responsibility of an apprentice supervisor - with education provided in an apprenticeship training centre. Exemptions to the age limit are possible, in cases where a person has had a series of apprenticeships, or is resuming a trade, and also for people recognised as having disabilities. In 2014-15, 138,800 of the 405,900 apprentices were following a higher education course (i.e. 34.2%). The number of apprentices increased by 97% since 2005 but is stable over the last year (+0.6%). Regardless of the course followed, apprentices are mainly recruited through schools and are mostly male. In 1987, apprenticeships in higher education became possible. Previously, apprentices were limited to taking the Certificate of Vocational Aptitude (CAP), but the Seguin reform extended the apprenticeship system to all levels of training and education. However, it was only after 1995 that this system really began to develop. Between 1995 and 2000, the number of apprentices at level III (preparing a two-year vocational diploma after the baccalauréat) and levels II and I (preparing a second or third cycle diploma or grande école) increased from 20,050 to 51,200 (table 17.01). From 2005, this growth accelerated further with the introduction of the vocational Bachelor degree and the Master's. Between 2005 and 2014, the number of these apprentices grew by 97%. In 2014-15, slightly more than one apprentice in three followed a higher education course. The number of apprentices in higher education reached 138,000 at the start of the 2014-15 academic year, i.e. 2.2% of young people aged 18-25. The share of apprentices in higher education was therefore 5.4%. Apprentice numbers in higher education stagnated this year due to a drop in numbers preparing for a level III qualification (-3.6%). The number of apprentices preparing for a DUT remained virtually unchanged, but there was a decline in those studying for a BTS or preparing for another level III qualification. The number of apprentices continued to grow for Master's (+2.6%), Bachelor degrees (+5.3%) and engineering degrees (+7.3%). Level III represented 51% of apprentices in higher education, level II, 17% and level I, 31% (chart 17.02). 42% of apprentices in higher education were studying for a BTS and one in ten for an engineering degree, Bachelor degree or Master’s. The others were divided between DUT and business school diplomas. Most apprentices in higher education, as with apprentices in general, are male, but the proportion of women is higher than for apprentices as a whole: 39% compared with 32%. This is particularly high for Master's (54%) and Bachelor degrees (45%), diplomas in the service sector (75% and 64% respectively) and lower for engineering diplomas that are more focused on the production sector (18%) (chart 17.03). The average age of apprentices in higher education is 21.4. In 2014-15, over half of apprentices in the first year of a higher education course came from a training course under school status (63%). 22% were already apprenticed the previous year and 15% had another situation (vocational training contract, job, unemployment, etc.). For first-year BTS students, 48% of apprentices had been in the general, technological or vocational final year at school the previous year and 19% were already following apprenticeship training (chart 17.04a). Apprentices preparing for a Bachelor degree mostly came from a training course under school status (63%), mainly a BTS or DUT (32% and 20% respectively), while one young person in four was already apprenticed (chart 17.04b). Engineering diplomas also mostly recruited young people from school (66%), mainly from DUT (32%); a quarter of young people were already apprenticed the previous year (26%) (chart 17.04c). 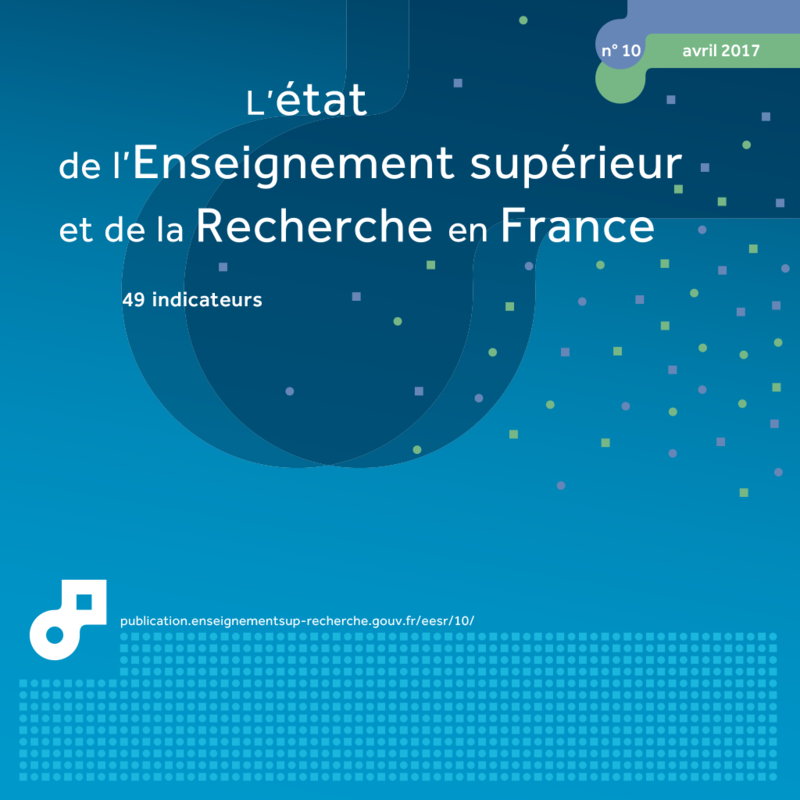 The share of higher education in apprenticeships varies considerably between French academic regions. In Ile-de-France, 57% of apprentices are following a higher education course and 30 to 36% in the academic regions of Guyana, Martinique, Hauts-de-France, Grand-Est, Occitanie, Auvergne-Rhône-Alpes and Guadeloupe. The share of higher education is between 24 and 30% in the other academic regions, except in Mayotte where there is no higher education. Extract from the chapter "17. apprenticeships in higher education". 1 See classification of levels in the Annex.